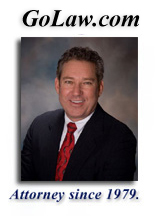 Mark A Doughty: Car Accident Lawyer in Sacramento explains what is involved. When you retain the services of a Sacramento car accident lawyer, you need one who is not only well-versed in the law, but who knows how to apply it to your particular case. No two claims in this area of practice are exactly alike, and you need an approach that is tailor-made to your situation. • Defendant has No-insurance in the accidents: If the driver who hit you does not have any insurance, he or she is still liable for the damage done to your car, property, or person, and your Sacramento car accident lawyer can litigate accordingly. Also, we can proceed and recover against your uninsured motorist carrier. • Hit-and-run accidents: If the perpetrator of the hit-and-run is caught, a car accident lawyer in Sacramento can request an award of punitive damages, in addition to other forms of compensation. If the driver who caused the collision is not caught, we can proceed and recover against your Uninsured Motorist Carrier. 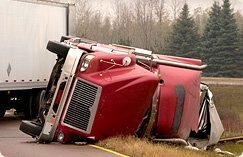 • Truck Accidents and Vehicle Collisions: Additional parties who can be held responsible for the accident / collision (besides the driver) include the employer of the driver, the truck / vehicle manufacturer, the loaders, and the auto mechanics who worked on the truck or vehicle. • Motorcycle accidents: Motorcyclists are much more likely to suffer severe injuries than motor vehicle drivers in Sacramento auto accidents. This is because they are not enclosed in a vehicle like the driver of a car, so there are fewer barriers between the driver and the objects involved in a crash. Attorneys for motorcyclists usually seek and recover higher awards during litigation that will compensate for any injuries received. • Bus accidents: Governmental Claims are often filed in these cases, in accordance with the large number of passengers who sustain injuries. • Road construction-related accidents: Road maintenance crews, supervisors, and even county and other Governmental Agencies may all be held accountable for poorly constructed, maintained, repaired road surfaces or dangerous condition of public property that have led to devastating injuries. • Inclement weather-related accidents: Rough weather does not preclude a driver from being especially careful on the road. Therefore, your attorney will insist that a driver who blames weather conditions for the accident is still responsible for failing to take necessary precautions. • If you have Uninsured Motorist Coverage Insurance on your vehicle, your insurance company must pay for the damage to the vehicle, even though the negligent, at fault, driver has no insurance. 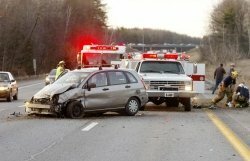 Why Do I Need an Accident Lawyer in the Sacramento Area? The causes of an automobile accident in Sacramento are numerous and varied. Based in Yuba City, the Law Offices of Mark A. Doughty helps accident victims in Sacramento, Lincoln, Marysville, Roseville, Rocklin, and throughout California obtain the recovery they deserve from the parties responsible for the injuries they have suffered. Auto Accidents, Motorcycle Accidents, Trucking Accidents, Pedestrian / Bicycle Accidents, Public Transportation Accidents, Wrongful Death, Slip & Fall / Premises Liability, Animal Attacks, Products Liability, Defective Drugs/Drug Interactions, Unsafe Public/Private Property, Construction Site Accidents, Third Party Liability, Aircraft Accidents and Water-Related Injuries. At the Law Offices of Mark A. Doughty, you can contact us twenty-four hours a day, and we are available for evening or weekend appointments. If necessary, we will even visit you at home or in the hospital. We accept cases on a contingency fee basis, meaning that you pay no fees unless we obtain a recovery for you. For the convenience of our clients, we have Spanish and Punjabi interpreters available. If you are injured, contact the Northern California Law Offices of Mark A. Doughty for an accident lawyer in the Sacramento Area. You should have the photographs of the accident site with you as these will help in explaining things in a clearer and better way. If you have got any video clippings of the accident site in your mobile or camera you should take those clippings along with you. The first thing your accident Brain Toronto Slip and Fall Lawyers help with Catastrophic Injuries Compensation in Toronto will ask you, when you meet him for the first time, will be the contact details of the other party.